A whale skeleton hangs near the entrance of the museum in downtown Grand Rapids. An Edison Standard Phonograph – or record player – used for wax cylinder records, including a brass horn. Dating to 1904, it is a working example of how technology can change popular culture. 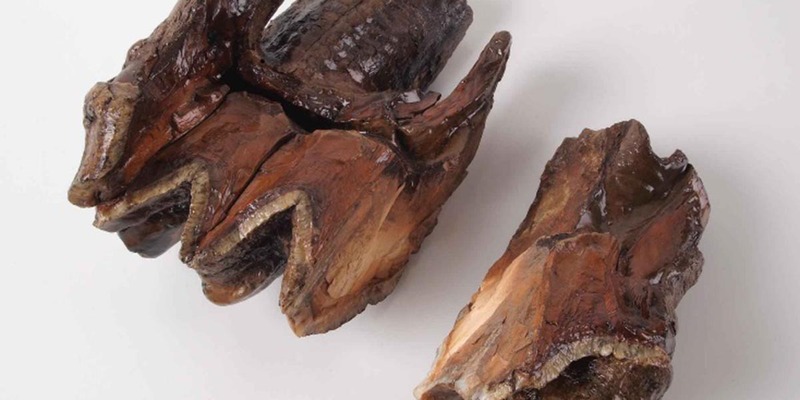 A 12,000-year-old mastodon tooth and tusk that made international news headlines when it was discovered in a donation bin at a Grand Rapids charity and then given to the museum. A “map dress,” made from a silk map of Europe carried by an East Grand Rapids soldier under his helmet during World War II. 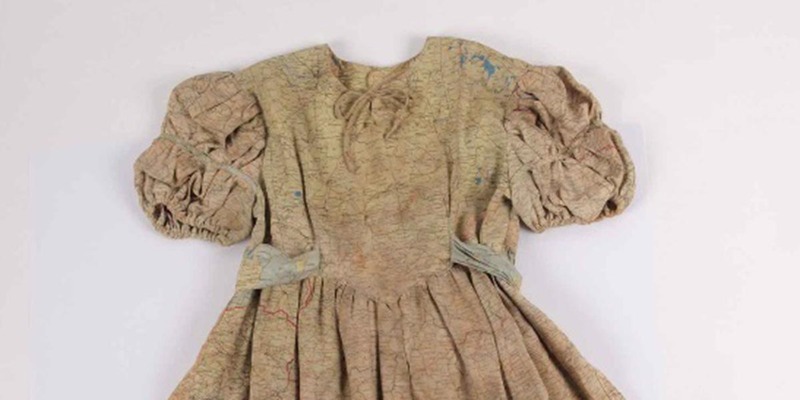 Upon his return, with a fabric shortage on the home front, his wife made a dress from the map for their daughter. 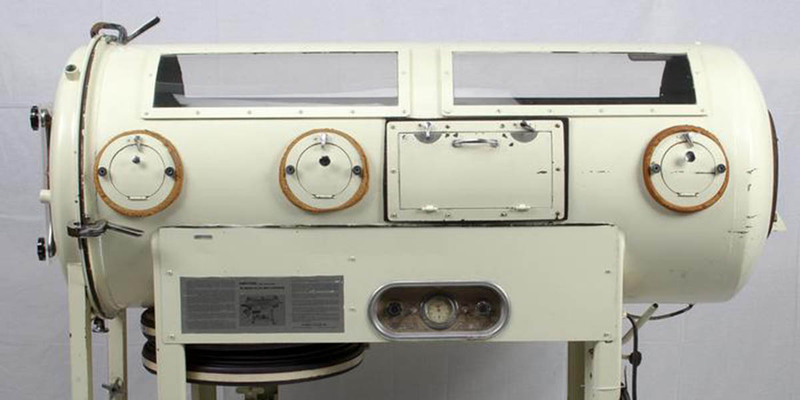 An iron lung, a breathing machine that filled hospitals during the polio outbreaks of the 1940s and 1950s. This iron lung was originally purchased by a local Elks Club for Holland City Hospital and was used for 40 years in the hospital and at the home of a patient. 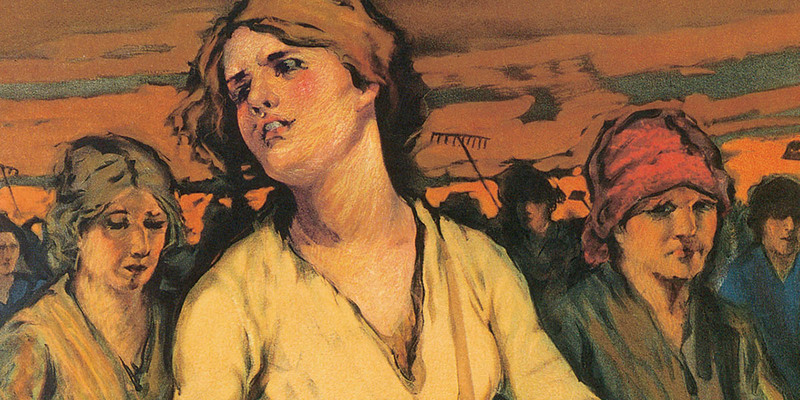 A “Woman-Power” poster to encourage women to get involved in the war effort in World War I. This poster was published in Michigan and had a circulation of more than 10,000 prints. Downtown Grand Rapids is the classroom for students at the Grand Rapids Public Museum School, which will be featured as one of 10 “Super Schools” on a national television special Sept. 8. During the winter, students at the Grand Rapids Public Museum have gym class at a downtown skating rink. 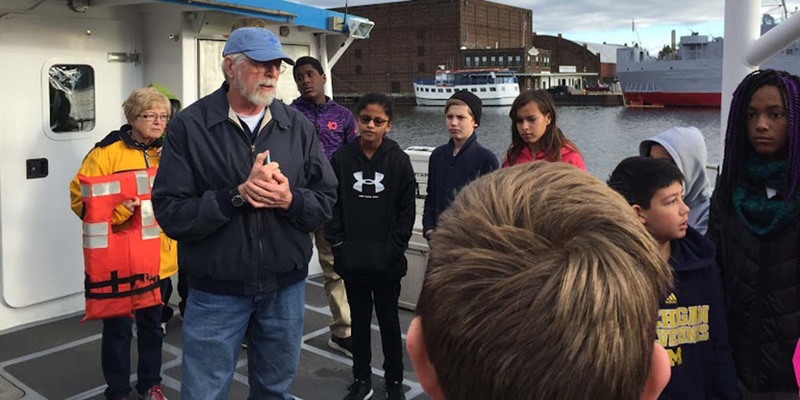 Students learn about river water quality and habitat aboard a Grand Rapids Valley State University research boat. On any given day, a lesson at the Grand Rapids Public Museum School could unfold on the banks of the Grand River or in the stacks of the downtown public library. Or perhaps inside the downtown museum itself, where students can soak up the story of sturgeon, a fish native to the river that dates back to the time of dinosaurs. 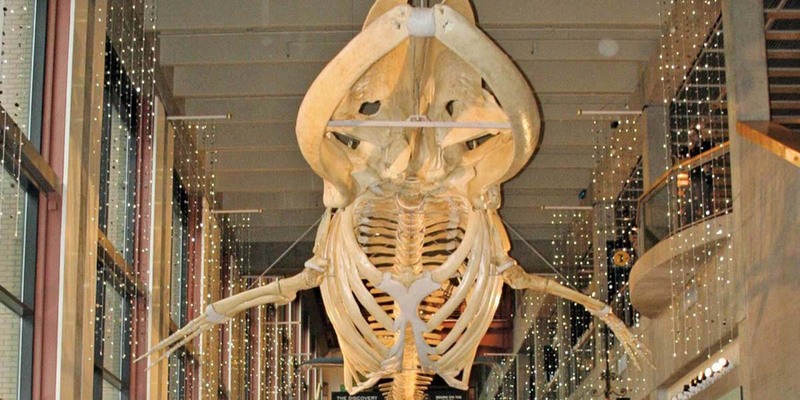 Students wander the museum’s rotating exhibits, which could be anything from King Tut to bioluminescent creatures to the 58-foot-long skeleton of a sperm whale. This unique approach to learning – where lessons are everywhere – earned the school a $10 million grant, one of 10 such U.S. “Super Schools” set to be recognized in a one-hour national TV broadcast at 8 p.m. Sept. 8 on the four major networks. The goal of the broadcast: To encourage America to rethink high school, the mission of Laurene Powell Jobs, the wife of the late Apple founder, Steve Jobs. Powell Jobs funded the $100 million contest to find the nation’s most innovative schools through a nonprofit organization called the XQ Institute. “We believe Grand Rapids can be a beacon for a nation and show what is possible every day at school,” XQ Institute CEO Russlynn Ali said last year, when the winning schools were announced. Other grant winners to be featured on the broadcast include schools in Louisiana that hold class on a barge to learn about wetlands and urban planning, another in Los Angeles designed around homeless students and foster children, and one in Boston whose students learn hands-on projects from biomechanics to computer art. 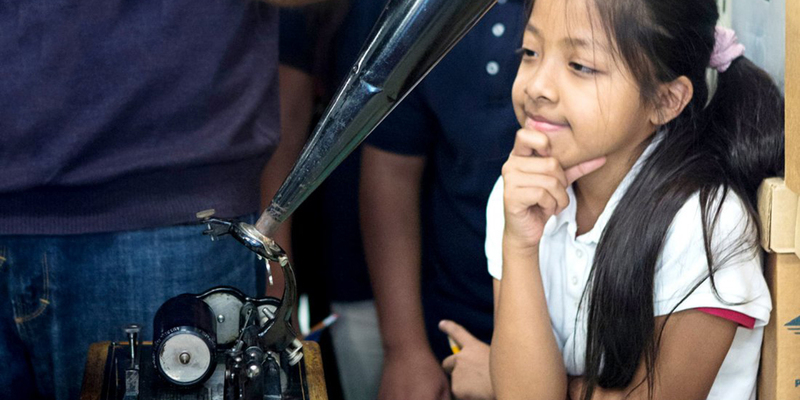 “The slogan for what we do, and we say it all the time, is that the community is our classroom,” said Christopher Hanks, principal of the Grand Rapids Public Museum School. How experimental is the school? The grant was awarded for a high school that doesn’t really exist yet. The Museum School now is for sixth to eighth-graders, and money from the grant will help fund an expansion to higher grades. 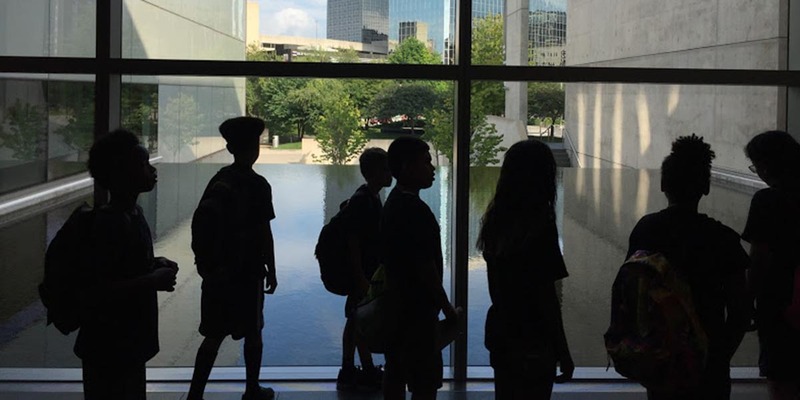 Operated by Grand Rapids Public Schools with the aid of several partners, the Museum School began in 2015 with 60 sixth-graders and moved the next year to its current home on the museum’s fourth floor. It grows by 60 students and one grade level each year and eventually will have a high-school enrollment of 240 students chosen by lottery. Next year, it will split: Sixth to eighth graders will stay inside the the museum, while ninth graders will go to a nearby building owned by the museum that will be renovated into a high school in part with money from the grant. The $10 million also will pay for a curriculum specialist and teachers. 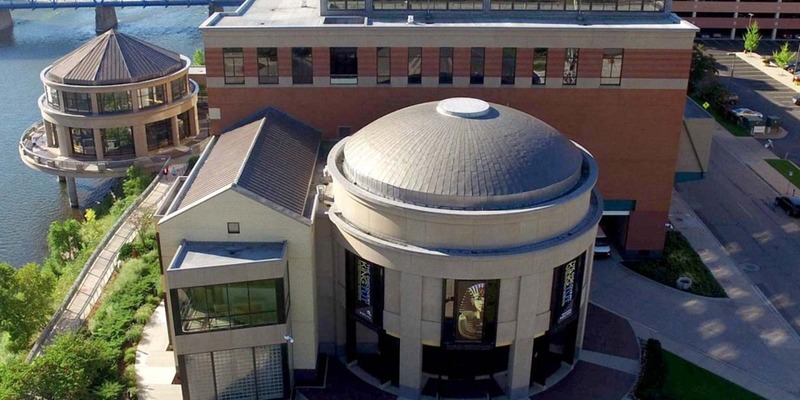 The Grand Rapids Public Museum School embodies what’s known as “placed-based education.” It’s a philosophy that Hanks said is geared to help students see concrete ties between themselves and community, both past and present. Employing teaching tools that students can see and touch only deepens those connections. And while students are based in traditional classrooms, they seem to spend as much time outside class as in. “I don’t think it’s an exaggeration to say that students are exploring some aspect of the downtown at least once a week. They are out in the museum on a daily basis,” Hanks said of this school, which is part of Grand Rapids Public Schools. 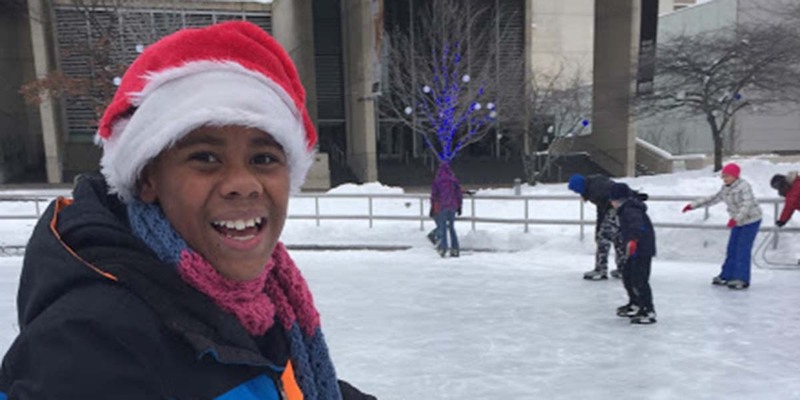 Physical education on a winter day might mean a trip to a downtown ice rink. Students discover art – and community collaboration – during ArtPrize, an annual fall public art contest that draws hundreds of thousands of people. They learn about economic change at the Grand Rapids Public Library, where city directories from the late 1800s reveal occupations like harness maker, milk peddler and dressmaker. A sales receipt for a slave from the museum’s 250,000 artifacts becomes a lesson about history and race. Adriana Rios, 13, spent the past two years at the school and is enrolled this year in eighth grade. “It’s been quite a joy ride. It’s been a very fun experience for me because of all the resources we’ve able to use,” she said. She recalled gathering samples last year from the Grand River right outside the museum, then learning how to analyze the samples. “That taught me we need to do a better job taking care of our water,” she said. Stephanie Ogren is the museum's science director and unofficial “sturgeon whisperer.” An expert in watershed management, she is among several museum staff members who share lessons with the school’s students. Under her guidance, the museum in 2016 took aboard two sturgeon fingerlings that have grown from 2 inches to 14 inches today. The fish – which can reach 7 feet at maturity - are a window into the Grand River watershed, an opportunity to see the link between this threatened species and the health of the river. “If we can get them interested in a species, it’s a way to pique their curiosity,” Ogren said. Test results for the school so far show evidence of success as well as room to improve. In 2016, Museum School sixth graders outperformed the state average proficiency in English in a statewide test known as M-STEP, with 63 percent testing proficient compared to 45 percent for state sixth graders and 28 percent for Grand Rapids Public Schools sixth graders. But in 2017, the school’s seventh graders scored 34 percent proficiency in English, compared to 45 percent for statewide seventh graders and 24 percent for all Grand Rapids Public Schools seventh graders. In math, museum seventh graders were 35 percent proficient in math, compared to 36 percent for the state. “The school is more focused on bringing innovation, ideation, and customized learning to public education than one-size-fits-all test scores,” said Grand Rapids Public Schools spokesman John Helmholdt. Beyond its commitment to hands-on-learning, the school is unique because of its commitment to collaboration, said Grand Rapids Public Schools Superintendent Teresa Weatherall Neal. Beyond the museum, partners include partnerships include not only the Grand Rapids Public Museum, but also Grand Valley State University, Kendall College of Art and Design of Ferris State University, the City of Grand Rapids and Downtown Grand Rapids, Inc.
“The partnership is huge,” Neal said. Dale Robertson, president and CEO of the Grand Rapids Public Museum, said the school continues the museum’s long history of incorporating education with exhibits. Robertson was a key proponent of bringing the museum and public school together. “In a nutshell, it’s a collaborative process for solving problems,” Hanks said. As an example, Hanks said, students are challenged to delve into museum artifacts to define some human need or activity, map its changes over time, and with classmates devise potential solutions for the future. That could begin as a project on cleaning, starting with an old Bissell floor sweeper – first made in Grand Rapids in 1876 – from the late 1800s. Students might learn about wall-embedded vacuums that briefly came in vogue in the early 20th century. That could morph into study of Roomba, a contemporary robotic floor cleaner and they could “brainstorm ideas of what that could look like in the future,” said Hanks, the principal. Lou Glazer, president of Michigan Future, an Ann Arbor-based nonprofit economic development advocacy organization, applauds the school’s innovative qualities – even though it may not be so easily duplicated elsewhere. To be sure, on a national scale, it’s unknown whether Powell Jobs’ $100 million bet on American high school innovation will pay off. In that context, it’s probably worth recalling the ambitious $100 million crusade by Facebook founder Mark Zuckerberg to remake New Jersey’s failing Newark public school system. In 2010, Zuckerberg announced on “The Oprah Winfrey Show” his intent to donate $100 million to “turn Newark into a symbol of educational excellence for the whole nation.” Other donors were to pitch in another $100 million. Five years later, it was widely judged a disappointment, hobbled by inconsistent leadership, squabbles with unions, lack of community support while some $20 million was spent on a variety of consulting firms. Dale Russakoff, who authored a book about the saga, said in a 2015 interview with NPR that education reform is never likely to be a quick and easy fix. Neal, the Grand Rapids superintendent, is mindful of the general issues that confronted the Newark school experiment. But she added that one of its key mistakes – failure to build community consensus for the reform plan – is not an issue for the Grand Rapids Public Museum School. “As superintendent, I don’t need to have all the answers. The answers can come from the community. This wasn’t my idea. This school came from the community,” she said. as if they are already on the right track. So many school systems in Michigan could have used the help.